Last Wednesday we had a fantastic turn out at Homeschooling at HeatSync. This week has been cancelled, but you should still show up and make stuff during open hours (7pm-10 pm) at HeatSync Labs. 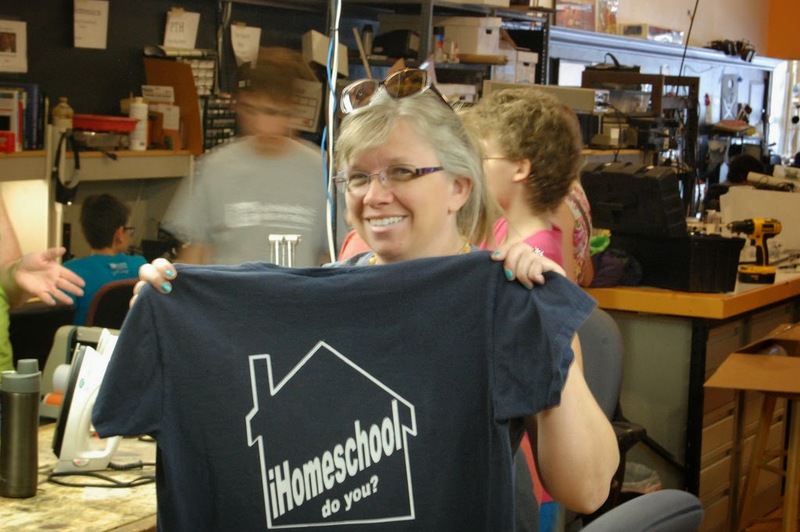 We made homeschool t-shirts using heat transfer vinyl cut with our vinyl cutter. There was somem lock-picking, and embroidery this time around. We still had laser cutting, plasma cutting, soldering, and Arduino's. Unfortunately the camera had the wrong settings so I took some blurry photos. Here are the ones that turned out. Here's the "iHomeSchool do you?" shirt. 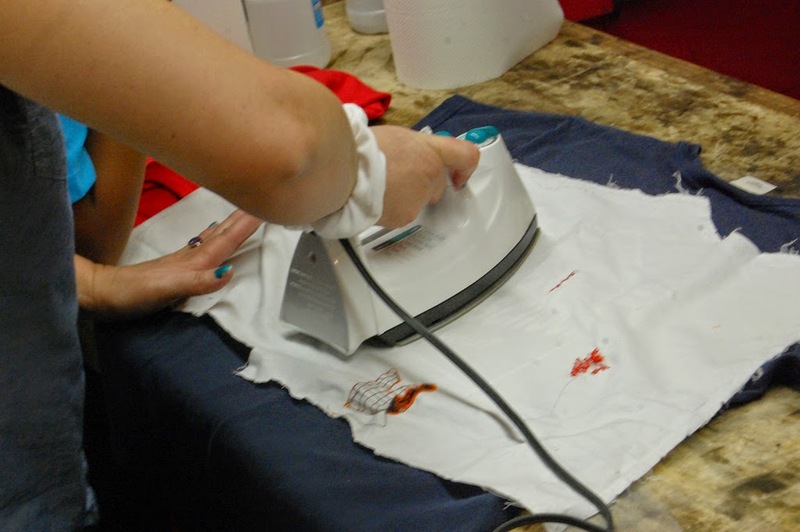 Some ironing action for the t-shirts. The newly added Emergency Death metal button at HeatSync was a huge hit with the kids.